The tech startup era has gifted us with an abundance of ridiculous job titles, including Chief Happiness Officer, Hacker in Residence and Galactic Viceroy of Research Excellence. The absurdity on display here would have you believe job titles are superficial (meaningless, even! ), but for many professionals, that couldn’t be further from the truth — their job title determines their rung in the corporate bureaucracy; their compensation (to a large degree); and their perceived value when interviewing and negotiating for future jobs and salaries. And so, negotiating a boss-sounding job title is as important, if not more so, than securing a sizable compensation package. Yet, in her nearly five years of coaching people how to negotiate during the hiring process, interview consultant Barbara Wally says she’s never heard of anyone trying to negotiate for a better job title. At many established companies, job titles are directly tied to compensation. This is largely due to legal reasons, says Chris Collins, director of the Center for Advanced HR Studies at Cornell University. As companies have grown more sensitive to the gender pay gap and other implicit biases in their hiring and compensation practices, they’ve moved away from allowing candidates to negotiate individual salaries and started to embrace strict salary guidelines for each job title. That is, a person’s compensation is determined by their job title, not their negotiation skills. 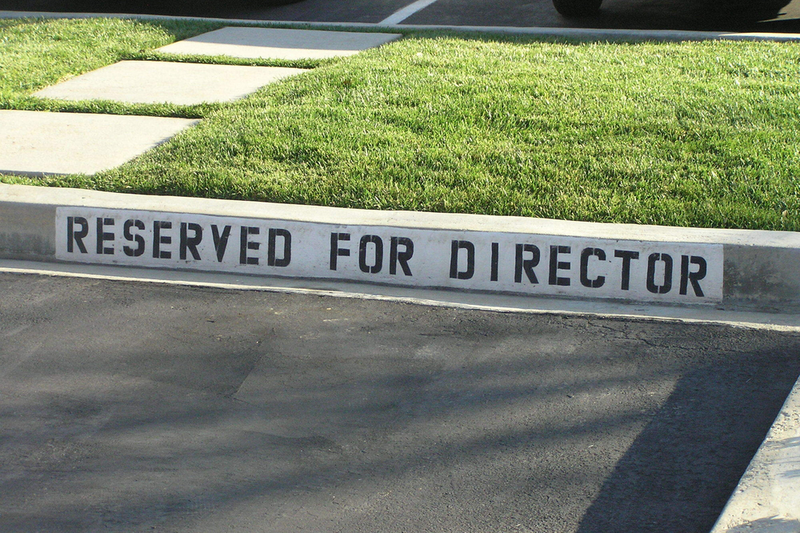 That’s why securing a high-ranking job title is so important. Not only does it mean that you’ll make more at your current job, it gives you a good starting position when negotiating a salary for a different job in the future — a higher salary that will have a compounding effect in all subsequent jobs. Herein lies the paradox when it comes to negotiating a job title — a company often can’t grant a person a higher job title without also giving them a raise. Theoretically, getting a bump in job title should be a cost-free way for a company to placate a candidate or current employee, and thus, easy to obtain. But when salary guidelines are strict, title and compensation increases are inextricably linked. Negotiating a job title change is dicey even when money isn’t involved. “[Changing a person’s title] doesn’t cost the company anything. They’re just words,” says Collins. “But it might open the company up to a discrimination lawsuit.” For instance, research shows women often don’t negotiating as fiercely as men. So a company could end up with a disproportionate amount of male senior vice presidents, making them liable to such a lawsuit. Collins says negotiating a better title is much easier when the company is relatively new and small, and roles are loosely-defined and malleable. “When a company is just making up titles for everybody, argue for whatever title you want. There’s plenty to negotiate there,” Collins says. This, in part, is why we’ve seen so much “title inflation” (for lack of a better term) the past 10 to 15 years, Collins says. It used to be there was only one C-suite job at each company, and that was the CEO. Now there’s a Chief Financial Officer, a Chief Marketing Officer, a Chief Technology Officer and so on and so forth. When you do argue to have “senior” or “executive” added to your job title, you better come with a proper rationale, Collins says. Because an employer might be more amenable to changing your job title if you can demonstrate that the title doesn’t align with the responsibilities of the job, or how other jobs in the industry define their titles. It might seem like a case of semantics, but in this case, semantics result in cold hard cash — or at least more cold hard cash than you had when you were the assistant to the regional manager.